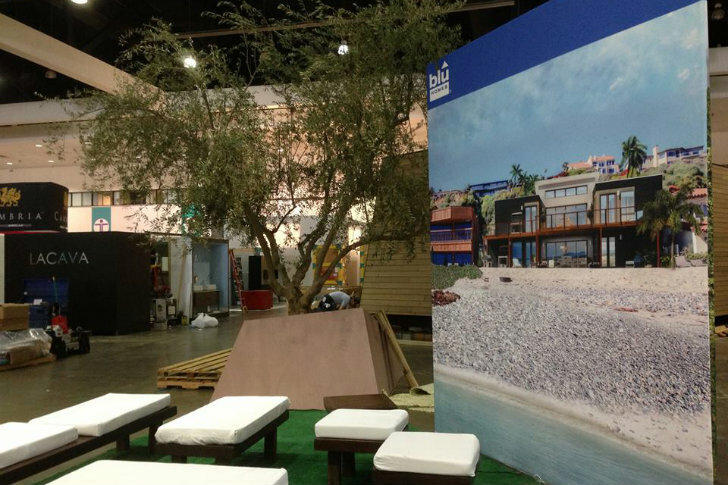 <a href="http://www.dwellondesign.com/">Dwell on Design 2013</a> kicks off today in Los Angeles, and precision home builder <a href="http://www.bluhomes.com/landing/dwell-on-design-2013" target="_blank">Blu Homes</a> just announced a new prefab that is designed specifically for the LA market. Blu will install a four bedroom, four bath Breezehouse home on a hillside lot in Agoura Hills later in 2013 and open it up for public tours. The <a href="http://www.multivu.com/mnr/53086-blu-homes-los-angeles-model-home-breezehouse-late-2013" target="_blank">Southern California Breezehouse</a> features many of the same green strategies that come standard with <a href="https://inhabitat.com/tag/blu-homes" target="_blank">Blu's prefab homes</a>, but has been updated with more windows, larger bedrooms, more storage and walk-in closets. The new <a href="http://www.multivu.com/mnr/53086-blu-homes-los-angeles-model-home-breezehouse-late-2013" target="_blank">Southern California Breezehouse</a> is a four-bed, four-bath prefab home that features a separate 24 ft pod for additional living space, a guest room or an office. The 2,900 sq ft home features an open plan living space centered around the Breezespace with an office and kitchen on one side and private bedrooms and baths on the other. 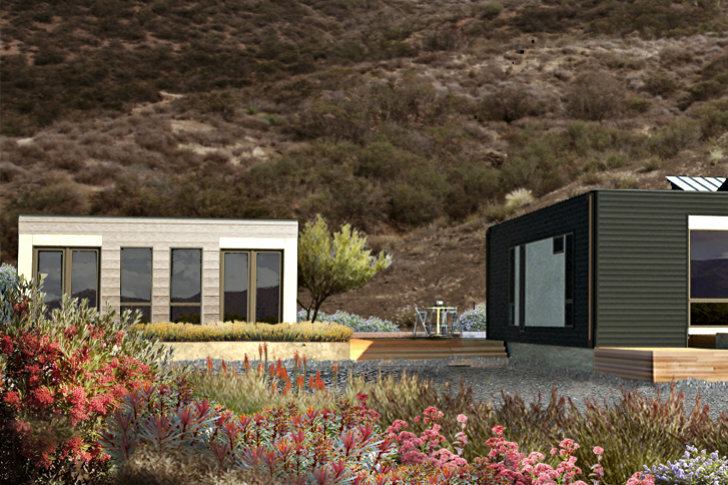 The Breezehouse will be fabricated at <a href="http://www.bluhomes.com/landing/dwell-on-design-2013" target="_blank">Blue Homes</a>' San Francisco Bay Area factory and then trucked down to LA and unfolded on site. Public tours will be offered when it is completed later in 2013, giving local residents an easy way to visit a Blu Home. 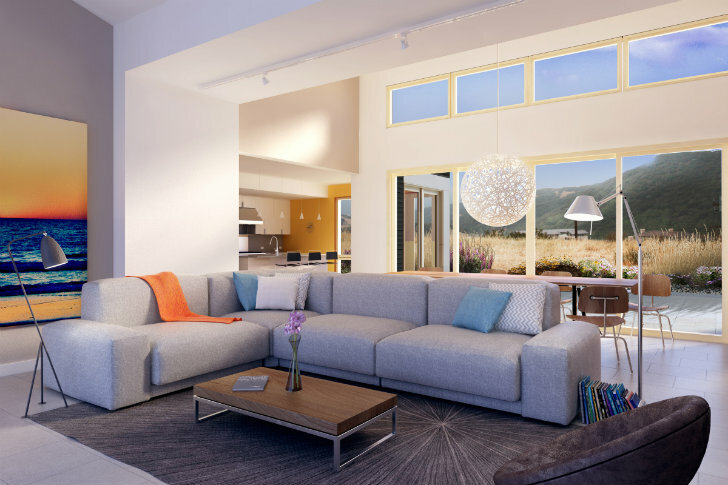 Modifications for the SoCal Breezehouse include floor-to-ceiling fenestration, larger bedrooms, walk-in closets, a walk-in master shower, folding Nanawalls on either side of the Breezespace, more storage and a walk-in pantry. 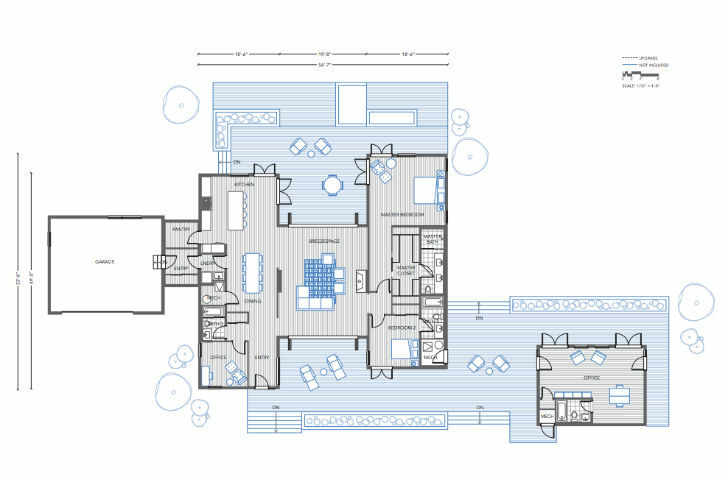 Floorplan of the SoCal Breezehouse. 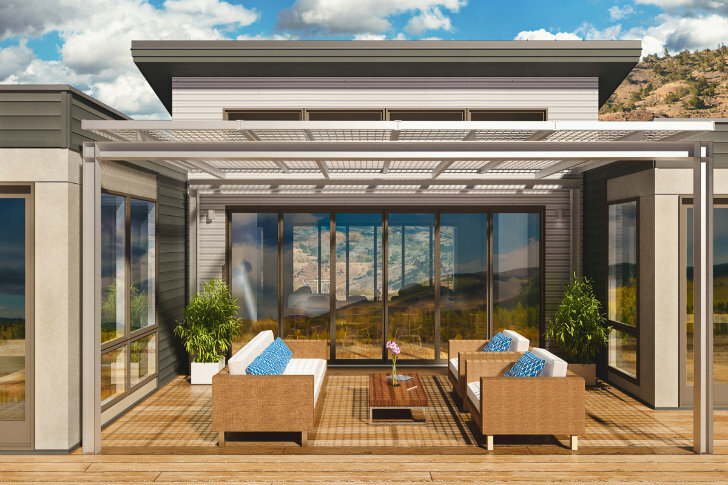 The solar-ready home will also feature a plug for electric cars and it will be built to LEED Silver standards. 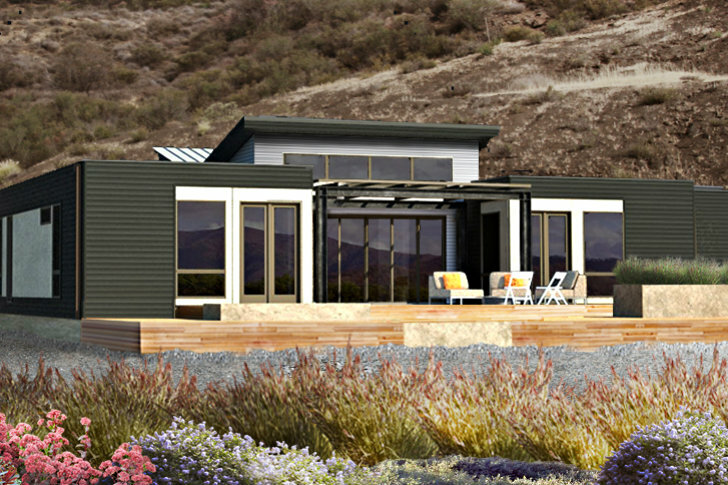 Dwell on Design 2013 kicks off today in Los Angeles, and precision home builder Blu Homes just announced a new prefab that is designed specifically for the LA market. Blu will install a four bedroom, four bath Breezehouse home on a hillside lot in Agoura Hills later in 2013 and open it up for public tours. 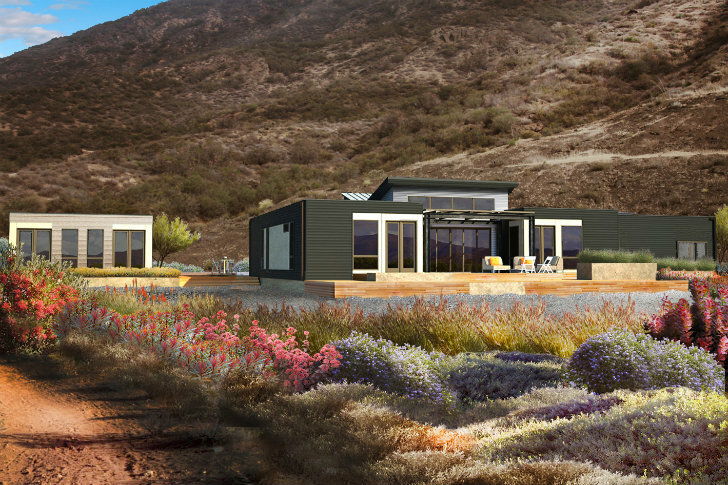 The Southern California Breezehouse features many of the same green strategies that come standard with Blu's prefab homes, but has been updated with more windows, larger bedrooms, more storage and walk-in closets.